Remember that a plaintiff can sue the manufacturer, the distributor, and/or the seller of a product that causes personal harms and losses. The claim can be based on 1) a defective design that makes the product inherently dangerous, 2) a failure to adequately warn of a risk, or 3) defective construction. The plaintiff can sue for all financial losses caused by the defect, as well as any physical harm. Ok.
A manufacturer may become aware of a potentially widespread defect in a product either on its own or because a government agency officially brings the defect to its attention. Typically, the manufacturer will then issue its own voluntary recall. If the manufacturer does not do so a government agency may issue a recall. A notice will typically be sent out to all distributors and sellers of the products, as well as all known purchasers, to the extent possible. Notices will also appear in trade journals and be provided to the general media, depending on the extent of the recall. The recall will instruct the customers how to have the product repaired or replaced, and will warn of the particular danger posed by the defect. While many courts allow evidence of a recall to help establish that the product was defective, such evidence does not make a defendant manufacturer automatically liable in a civil lawsuit. A plaintiff must still prove the elements of a product liability case — that the particular product was defective and that the defect caused his or her injuries. 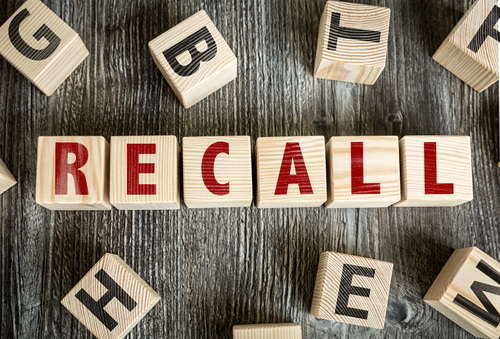 Circumstantial evidence of a recall can help establish that the kind of defect the plaintiff is alleging existed when the plaintiff was injured, but additional direct evidence, like witness testimony and photos of the actual product, are required. Other courts simply do not allow evidence of a recall to be admitted in a case. Those courts reason that if a jury found out about a recall, the jurors would be “prejudiced” by that information and be unable to consider other evidence in the proper light. However, a manufacturer cannot use a recall to defeat any claim brought against it. The manufacturer must prove that the particular plaintiff directly received notice of the recall and that the contents adequately warned the plaintiff of the dangers posed by the defective product. A broadly issued recall, unaccompanied by successful efforts to direct the recall notice to the plaintiff, is not enough. Also, the manufacturer cannot defeat the plaintiff’s suit by blaming a distributor or seller for not providing the notice directly to the customer — although the manufacturer may be able to sue the distributor or seller afterwards, depending on the facts of the case. Todd Snyder + Champion brand sweatshirts have been recalled for failure to meet federal flammability standards. Pier 1 Imports (based in Fort Worth, Texas) recalled 16,600 glass pumpkins due to laceration hazard. Ford and Mazda recall pickups with Takata airbags…again. This recall includes more than 380,000 pickup trucks made in the mid 2000s equipped with potentially deadly Takata airbags. BMW recalls all i3 electric cars over a crash test revealing a higher risk of neck injury for a 5-foot tall, 110 pound woman not wearing a seat belt. Honda recalls 900,000 minivans for second row seats that come loose. If you have been harmed or injured because of a defective product contact the Houston product liability lawyers at Sigmon Law, PLLC for a consultation.